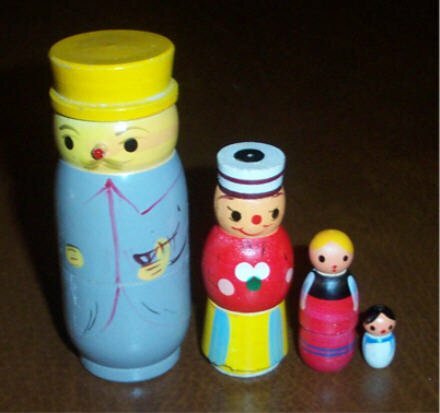 This is an old and very rare Polish nesting doll. It is very simple in style and shape. Each family member is dressed in folk clothing. Father wears a gray coat with flat yellow hat and holds a pipe. Mother wears a red blouse and striped hat with a black circle on the top. Inside are a girl and baby.